HomeFood For Overdue Fines @ The Library! 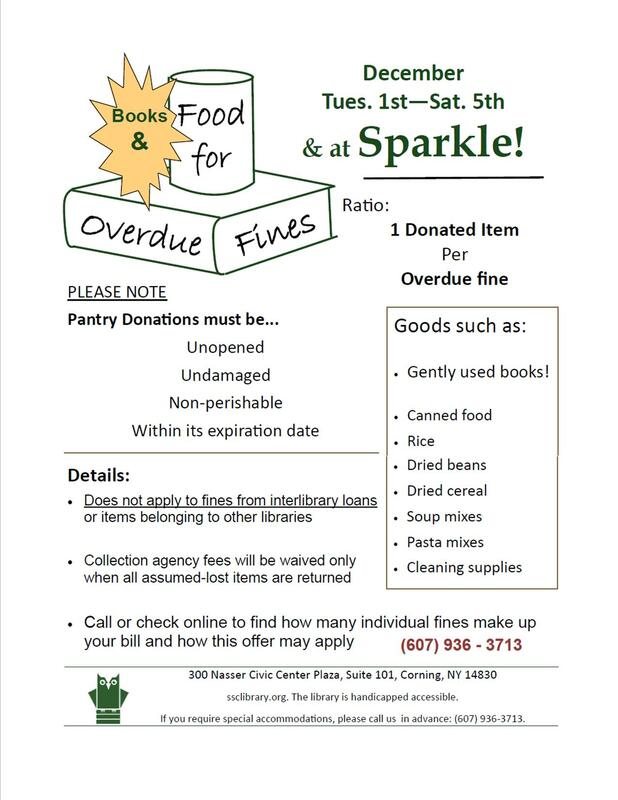 Food For Overdue Fines @ The Library! We’re celebrating both Sparkle and the 15th Birthday of the Southeast Steuben County Library next week! And as part of the celebration we’re accepting food, in lieu of cash for overdue fines! And join us next Saturday, December 5 from 5:00 – 9:00 p. m. for our Birthday Party!